Yes, you can talk to the experts at Gulf Stream Coach! If you are shopping for a new travel trailer or motor home, you probably have questions. One way to get answers is to contact one of the factory experts right here at Gulf Stream Coach. You’ll find buttons throughout our Web site that connect you to a representative who can answer your questions. Click the button, submit your question and a phone number. One of our experts will respond as soon as possible, typically that very day. Prefer an email answer? Just provide your email address with your question instead. But wait… WHO is answering your question? 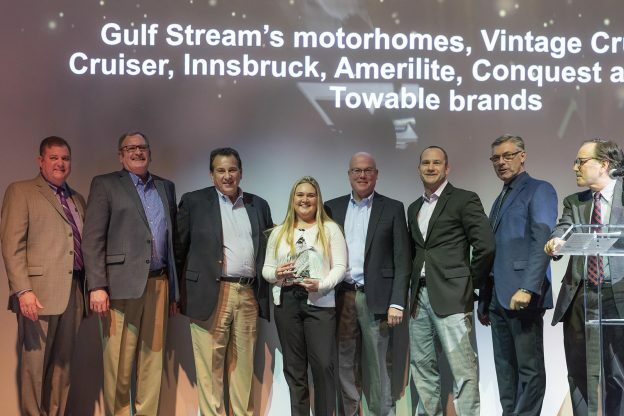 Your question is received by one of the Gulf Stream Coach sales representatives responsible for the brand or type of RV you have inquired about. 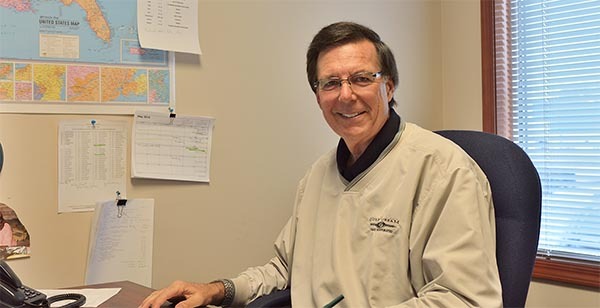 Our sales representatives are among the most experienced, knowledgeable, helpful, and respected people in the RV industry, some with decades of experience in the profession. In case you’re wondering, our sales team can’t sell YOU anything – They handle sales to dealers, not retail customers. And… WHAT kind of question can you ask? And… WHAT kind of question can you ask? Almost any question related to selecting a travel trailer or motor home is welcome. General info about travel trailer types? Sure, ask! Specifics about construction, floor plans, features? Go ahead, ask! Have a stumper? Try us! We’ve been building award-winning RVs for over 36 years, and it’s quite likely someone at Gulf Stream Coach has the answer. What about repairs, parts, service, and warranty questions? There’s a whole staff of Customer Service experts on hand for those questions – Just click here for a direct connection to Customer Service by phone or email. We DON’T set retail prices, so we can’t provide price information – All of that is done by our dealers – And they’re happy to answer your price questions, provide quotes, talk about trades, financing, options, and more, all with absolutely no obligation or cost! Just click our “How Much Is It” link. This entry was posted in News on March 22, 2019 by pcampbell@gulfstreamcoach.com.